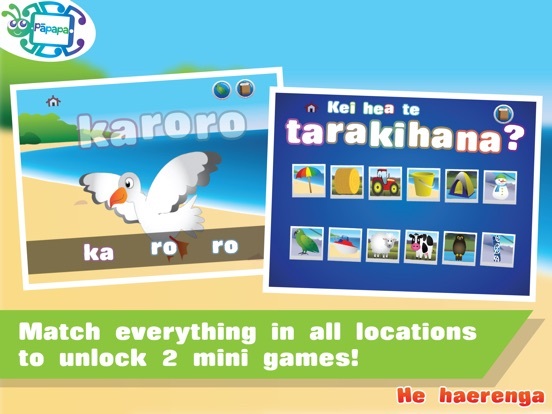 "He haerenga" (A trip away) is an interactive Te Reo Māori app for kids and their caregivers. 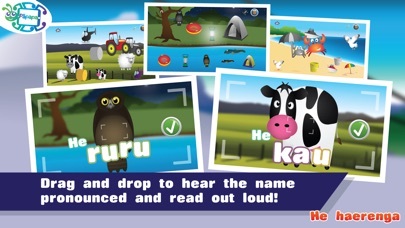 Visit different locations, such as a mountain, beach, river and farm. Drag and drop each object or creature to hear their name read out to you. 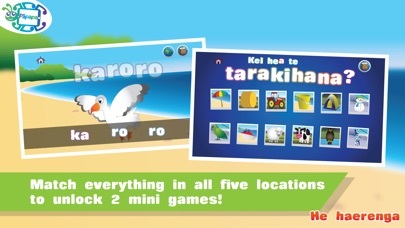 Included are words such as Pakoko puaheiri (Snowman), Karoro (Seagull), Waka topatopa (Helicopter) and much more! - Match everything at a location to begin your search for an additional fantastic creature. - Match everything in the game to unlock two mini games! Pāpapa believes in creating opportunities for child and caregiver to explore their world together in Te Reo Māori. We prefer to provide self paced, uninterrupted experiences, so we don't include anything to rush you or include any advertising. 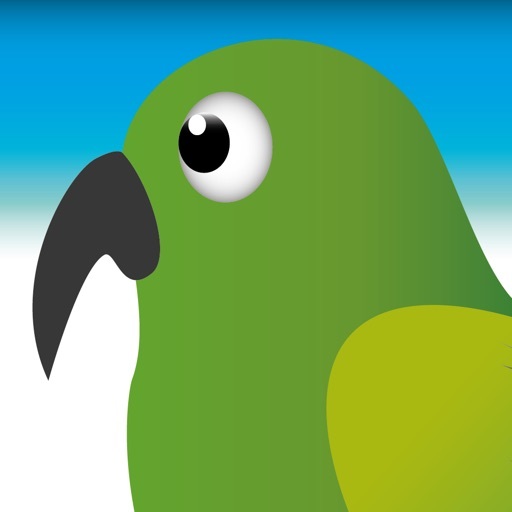 All Māori language features (words and phrases) used in our apps are quality assured by licensed translators certified by Te Taura Whiri i te Reo Māori (The Māori Language Commission).